Two artists from Sawmill River Arts, Christine Mero and Kerry Stone, will be having a special month long exhibit entitled “Works in Paper” at the gallery. They are both founding members of Sawmill River Arts Gallery, both are painters, and both love to work with beautiful papers! 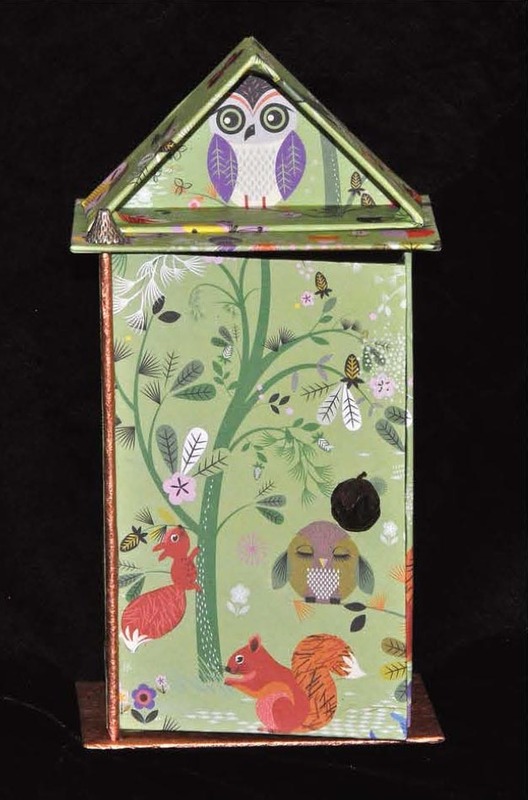 Opening Reception: Sunday, Oct. 5 from 2-5 p.m.
Stone uses papers that she collects, recycles and creates to make colorful collages that are inspired by her paintings and by observing nature. 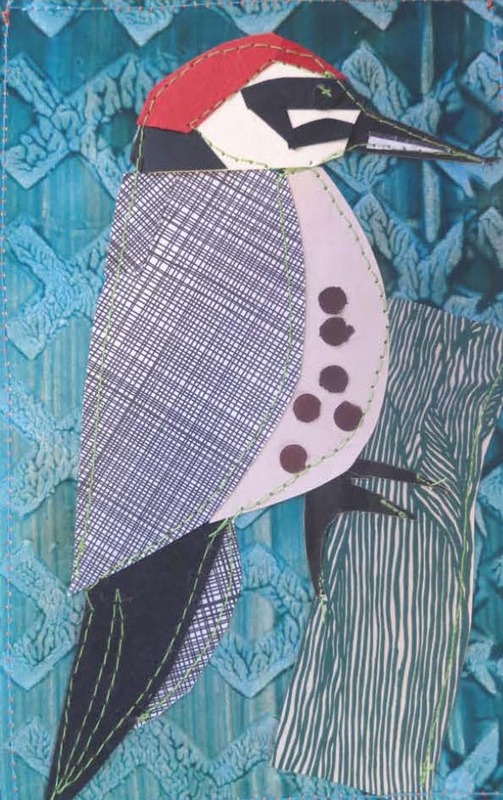 After cutting and gluing down the pieces of her compositon, Stone uses her sewing machine to add a sewn line drawing that pulls it all together. “I really enjoy sewing on paper, there is something very satisfying about it” she explains.Stone doesn’t frame her work under glass as she wants the viewer to really see the textures of the papers and the stitching.The images in the show are of dragonflies made with sheet music wings, birds, flAn owers and still lives.